But it doesn’t have to be that way! Dance is for ALL ages. The benefits of correcting your posture and increasing you balance through ballet training are available to all of us, regardless of age, physical starting point and prior dance experience/training. — Especially as we get older or have a still-sitting office job. Being chained to a desk for hours a day is very tough on our backs and necks, and the core ballet exercises are some of the best ways to counteract that daily strain on our bodies. Not only will these exercises help you maintain a better looking, ranker posture, it will also significantly reduce the back and neck pains that so many of us struggle with today. Rachel Withers is a former ballerina who after retiring from her dance career took an office job and knows of the issues that comes with that. Fortunately, her ballet training had given her body the strength to resist much of the toll sitting at a desk took on her colleagues. So she decided to make those health benefits available to those of us who are not professional ballerinas in the form of her own unique ballet workout concept, appropriately named BalletBeFit. As a certified ballet instructor, Rachel’s dance and fitness classes combines the fun of dancing and the unique benefits of ballet training with a more accessible fitness concept. At her classes, young and old meet to have fun and get to feel better about themselves and their own bodies. 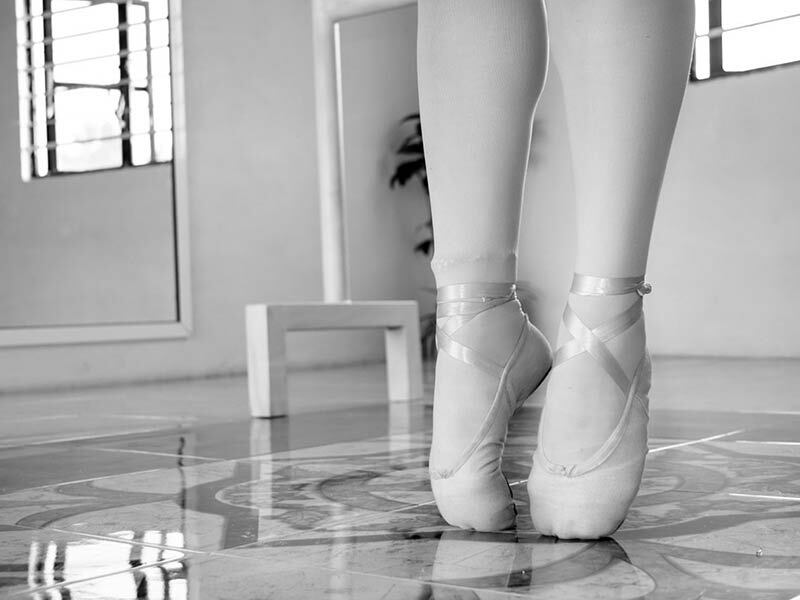 Generally, it is a much more open and welcoming environment than the strict ballet schools that comes to mind when most people think of ballet training. Here you’ll find a great community of women of all ages enjoying fun dance training together, without prejudices or competition. So what makes Rachel Withers the best ballet instructor is not her ability to turn young girls into world class ballerinas. But that she can engage and motivate women of all ages to improve their health and feel better about themselves — physically as well as mentally. Where can I go to a ballet fitness class? BalletBeFit is currently expanding to locations all over the UK. You can find a dance studio near you here. Or try unique ballet-based home workouts.